Pierre Omidyar is the founder of the multinational e-commerce corporation eBay, a philanthropist, and a financier of left-wing organizations, including investigative journalism projects. Omidyar is a funder of left-wing politics; as such, he gave $100,000 to the NeverTrump PAC, a group opposed to 2016 Republican presidential nominee Donald Trump. Omidyar is a donor to the Democratic Congressional Campaign Committee and Democratic Senatorial Campaign Committee. 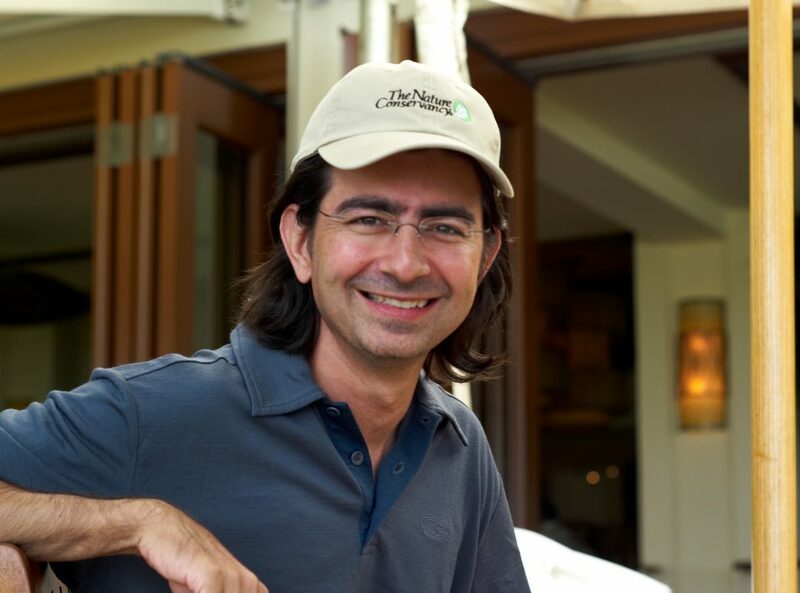 Pierre Omidyar was born on June 21, 1967 to Iranian parents in Paris, France. His family immigrated to the United States due to his father’s work. He graduated from Tufts University with a bachelor’s degree in computer science in 1988. In 1995, Omidyar opened Auction Web, which would later become eBay. Omidyar became a billionaire when eBay became a publicly traded company in the fall of 1998. Omidyar resigned as chairman of the board in 2015. The Intercept, First Look Media’s first publication, was launched in February 2014. Controversial left-wing journalist Glenn Greenwald is one of the website’s editors. Gawker editor John Cook joined as editor-in-chief of the website in March 2014. The Intercept’s original staff, including Greenwald, were involved in the disclosure of classified national security documents by onetime National Security Agency contractor Edward Snowden, who later fled to Russia. First Look Media also publishes the websites Field of Vision (a documentary project), The NIB (a comic site), and Topic (an entertainment and culture site). In 2017, Omidyar pledged $100 million to fight so-called “fake news.” The money will reportedly be used to support investigative journalism. In 2011, Omidyar founded the Democracy Fund, a 501(c)(3) private foundation headquartered in Washington, D.C. In a March 2013 article in the Huffington Post, Omidyar stated part of his reason for creating the Fund as “support[ing] social entrepreneurs and others working to directly address the conditions that threaten the ability of our government to represent the public’s highest interests, to retain the public’s trust, and to meet the many great challenges that we face. Joe Goldman is president of the Democracy Fund. The Fund calls itself “bipartisan,” and distributes grants and funds various political and journalism groups including the Aspen Institute, Millennial Action Project, and the National Institute for Civil Discourse, according to its website. Data from the website Foundation Search shows nearly $8.9 million in 46 grants in 2015, many of which went to left-wing organizations. Some of the 2015 grantees include the Bipartisan Policy Center, Pew Charitable Trusts, Proteus Fund, Democracy Works, Knight Foundation, Free Press, Public Citizen Foundation, and New Venture Fund. The Omidyar Network Fund is a Redwood City, California-based 501(c)(3) foundation created in 2004 that serves as Omidyar’s primary philanthropic vehicle. It is closely connected to the Omidyar Network, a for-profit venture capital LLC that makes grants to “companies focused on social change” through its 501(c)(3) affiliate. As of 2014, the Network had nearly $322 million in assets, and in that year distributed $45 million in grants. The Omidyar Network is a major funder of the Sunlight Foundation—a left-leaning nonprofit also funded by liberal foundations like the Rockefeller Family Fund, Knight Foundation, and Bloomberg Family Foundation—giving the group over $17 million in 9 grants between 2007 and 2013. Other grant recipients include the Tides Foundation, Tides Center, George Soros’ Open Society Foundations, and the Brennan Center for Justice. Omidyar has given $213 million to various causes, many of which are active in left-wing politics. Among those groups that have been funded are the Open Society Foundations, the Tides Foundation, the Center for Public Integrity, and the Center for Responsive Politics.